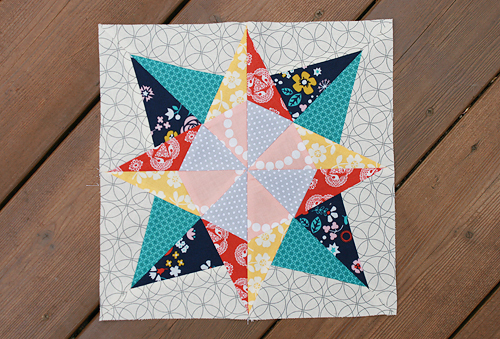 When I was selecting the fabrics for this star, I was torn. Blocks can always look so different depending on fabric placement. I really wanted to showcase this variety by making another block with the same templates, but using another fabric layout. Over the weekend I created this block. I hope you will check out the magazine at your local craft and bookstore! It's also available as a digital download.